There are other (much better) April Fool’s Jokes out there, especially from back in the day. Paul Rako goes over a bunch of fun ones from the heyday of National and LT. And Bob Pease’s site has the classic fake datasheet from Signetics, the Write-Only-Memory. Not fooling about this one: Photonic Induction is back! Well, at least his videos! Dave is about to cross his 3-year anniversary of the EEVblog! Our pal Dino just completed his one year quest at Hackaweek! He finished it out with a great oscilloscope-like laser project. Another scope, Claudio of the Amateur Engineer is making a homebrew oscilloscope! Did you know: The unit of the reciprocal of inductance is the “yrneh”? That’s “henry” spelled backwards. We finally bring up the Raspberry Pi again on our show. But from the skeptical point of view. Will they be able to push out the boards at the price point they stated? ($35) Olimex on “The Back Shed” forums lays out a good case against it (via reddit). If you’re interested in building your own boards and are looking for an arduino-like project, check out the VinciDuino. It’s a way to practice your SMD soldering and wind up with an 8-bit based Arduino (based off the forthcoming “Leonardo” platform). Are you a fan of OSHW, like we are? If not, you’d likely have stopped listening by now to us 😉 Check out the OSHW community survey over at adafruit. Great video of Brian Fuller’s Drive for Innovation at their stop…where they tore the car apart! Over 100 micros and 288 batteries. Lots and lots of Freescale processors. Do you primarily use microcontrollers in your projects? Or microprocessors? In the push to get more consumer-like experiences, Freescale continues to move away from their Coldfire line and towards ARM based products. This new one has a second core dedicated to “iPhone-like” features (which require more memory). Regulation in the US means you have to PAY to see the standards! Pretty crazy, right? How is that enforceable? Turns out…it isn’t! Giveaway! Sponsored by Freetronics. Win an EtherMega board. Just email us with “contest” in the title to theamphour@gmail.com. Let us know your favorite chip, hopefully one we’ve never heard of before. Added bonus, we might use it as Chip of the Week in the future! We’ll mention you if we do! ST Micro released (?) a new EEPROM that can be programmed by RF (more specifically NFC). Would be great for packages/project boxes you cannot open and need to upgrade the firmware. That’s all for this week. We promise not to pull any more legs until next April 1! Thanks for playing along! Picture used and modified under CC from the BadAstronomy Flickr page. Thanks Phil! Damn! And I sold all my Google stock and bought Amp Hour! Great video of Brian Fuller’s Drive for Innovation at their stop…where they tore the car apart! My google foo let me down. Anyone having a link to that video? Well… Freescale (or motorola) was really good choise for microcontrollers on the old 68HC11 .. but one can’t simply skip and ignore all those PPC based Automotive and Telecom thingies (like MPC 555 and 8250). Besides some of those low end freescale chips can beat Pics on price/features. Was familiar with mho. i guess it makes sense that there is a yrneh but i was unaware of it as a term. I wonder if i’ll ever have to use it. April 1. i trust noone on April 1. I like the wireless eeprom idea. Feels like its 6 years late though. Seems like such a thing should’ve already existed with older rfid comms? As far a CPU/MCU goes, once upon a time i would have said CPU = no peripherals, no RAM, no ROM & just about everything happens through the bus. These days the lines are getting very blurred. When I started work as a tech I worked on 8085/8086 processor boards. had two 8K EPPROMs for program, one 8k battery backed rtc static RAM, two uart chips (8251) (would get really hot), two “parallel i/o” port chips(8255). Later i wrote and still maintain firmware for the popular motorola MC68HC705A(still in production) which was a stalwart workhorse. Then we moved up to 68HC908AB32. I still do newer design and firmware using the freescale HCS08, HCS12 and coldfire MCUs. I also like the look of the Kinetis series and want to try it but of course it’s ARM so its a different paradigm than i’d be used to. I really like them. As Joanna said, some parts are just as affordable as other parts. I try to be MCU vendor agnostic but I’m most comfortable with Freescale. Freescale don’t push the hobby or university use of their parts as much as others which i think is strange but as long as they are at 1 or 2 in the world with headroom I guess they don’t need to bother. I’ve heard comments about why Freescale charge royalties for some stacks when other vendors don’t and the suggestion has been that they could provide it royalty free but they don’t want to invite the riff-raff. ouch. Also, the free yet crippled versions of the CodeWarrior IDE are really good IMO once you get used to it. The code initialisation/beans tools are heaven. I don’t think Freescale are “moving away” from the Coldfire line. I’d be interested to hear where you got that impression or statement from. They keep adding to it. I would’ve thought they would say, where ARM parts are concerened that they’re just adding to their already bulging portfolio of devices covering more of the needs and wants of the market. As others have commented elsewhere, the Coldfire and ARM parts each have target applications where they fit. I’m not surprised they banned you Rasz. You accused them of an illegal act with no evidence whatsoever. Libel is an offence and enforceable by law, so forums have to be seen to be doing something if there is a complaint or else they are potentially liable for damages. E14/RS had ownership of physical boards. The fact that the assemblers screwed it up cannot be classed as an act of deception by the retailers. People act like Rasp Pi is a huge corporate, it isn’t, it is a small handful of people who had an idea to bring UK students back into programming by giving them a simple hackable platform. It was picked up by a BBC presenter, who blogged it and got 600k views in 2 days. Publicity that they could have done without at that stage. Eben hasn’t made any secret that his usual job is with Broadcom. If anything they are more independent than Beagleboard are from TI. The $25/$35 postage on it is a fallacy, based on a cockup that Farnell made on day 1, where they accidentally added postage. Within the day they apologised and said it was a mistake, and that the quoted price did indeed include p&p. Having read the Olimex posting, it sounds like sour grapes to me. A couple of months ago one of the Arduino people made a posting saying that having to go to China was rubbish and they could have been made on budget in the UK, now Olimex are saying they can’t even be made in China for that amount. the datasheet says you can power it from the RF Signal. I think a lot of the questions you were musing about on the show are answered on the Raspberry Pi site itself – as Mike mentioned above, the whole admin charge / shipping cost thing was a screwup with Farnell. The first batch of 10 beta boards were sold via ebay to raise money for the Raspberry Pi Foundation, which is a UK registered charity. There were always going to be two versions of the board – the “Model A” for $25 and the “Model B” for $35. Initially, the model A was to have 128MB RAM, one USB port and no ethernet, and model B has 256MB RAM, two USB ports and 10/100M ethernet. Back at the end of Feb, they announced that the cost difference between 128MB and 256MB was such that they could spec the A with 256MB and still meet the $25 pricetag. All the early units are to be model B. The first production run of 10k units has been hit by a couple of major issues – the China fab substituted RJ45 jacks without the integrated magnetics, which of course doesn’t meet ethernet specs. The foundation have licensed manufacture out to RS and Farnell as they’re in a much better position to meet the demand, rather than handling it themselves in batches of 10k. The first 10k units were sent to RS and Farnell (5k to each) for resale to the public. The Foundation were initially intending to supply the first boards as development boards and as such, not require CE/FCC testing, however once RS and Farnell realised how large the demand was, they insisted that the boards go thtrough CE testing first, which is under way this week. Due to the initial snafu regarding shipping cost, Farnell produced an updated chart (it’s on raspberrypi.org) showing prices inclusive of shipping for several major regions – US$40 for the US, CA$47 for Canada, AU$38 for Australia, etc. On a more personal note – I think it’s a great concept. When I was learning to program back in the 80s, I had hours of fun writing simple programs in BASIC and then branching out into hardware interfacing by bit-banging the line-printer/parallel port with peek/poke/inp/out and attaching homebrew circuits (the driver circuitry in the TRS-80 was really rugged – I fried two or three cheap PC multi-io cards). I think the raspi is aimed at promoting that sort of environment for kids now – write programs in a high-level language that’s easy to learn (like Python, which I believe is there the Pi comes from) and interface with all those nice GPIO pins. There are even add-on boards in development to make this even easier – the GertBoard for example, adds a motor driver, ADC and a bunch of input and output lines (even a bunch of LEDs to flash) so kids can get a quick result without having much experience with hardware. That was a good joke. I bought it hook, line, and sinker. 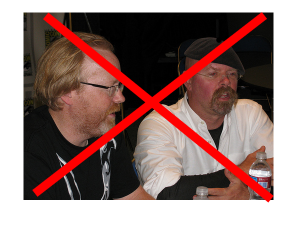 I follow eevblog, tested, Giant Bomb, and Mythbusters and to have any of them collaborating would have been mind blowing. I did wonder how Dave would have support tested logistically being in Australia but it’s a connected world. A fan from San Diego, California. Guys what’s with the Raspberry Pi anger, really loosen up, they are trying to do good things. Don’t follow the baying of anti R-Pi crowd , not sure who started the ‘fear and uncertanty’ is it T.I. or someone feeling threatened, I don’t get where the venom comes from. My distrust of the Raspberry Pi comes because the communication doesn’t ad up. When RS and Farnell started the non-sales they and the foundation evaded clear answers how many boards each has in the warehouses. Reading between the lines it sounded more like the first 10k batch was still on a boat from China, arriving soon. RS was at least semi-honest and didn’t accept orders on launch day, but only provided for interest registrations right from the beginning. Farnell took orders, quickly got cold feet, and changed to interest registration. RS later hinted they really had nothing to sell. A few days later it turned out the boards from the 10k batch had the wrong Ethernet socket. The important part here is the Foundation announced the factory was already busy replacing the sockets on the first 10k batch. The foundation even wrote they knew about the wrong sockets since a few days. The important part here is, how could the 10k batch be back in the factory so quickly? This is the part that absolutely doesn’t add up for me. We are talking about a factory in China here, not one around the corner in the UK. Further, if the 10k batch had been split into different parts for RS and Farnell and placed in all the different warehouses around the world for launch day, how did they manage to collect them all in such a short time and sent them back to China? The most logical conclusion would be the first 10k batch never left China. No board was ever in an RS or Farnell warehouse. And that leaves a very bad taste about launch day. And therefore I understand those who get wary about the whole thing. 2 months after official launch, and Rasppi foundation sold exactly TEN (10) boards, each at ~$1000 on Ebay auctions. No other Raspberry Pi board exchanged hands, NOT A SINGLE ONE. What’s the name of the MBA book that Chris often mentions? I call it “The MBA Playbook”. It’s not real. It’s something I say when I think people are following the same rulebook that seems to always result in late projects, crappy projects and unhappy employees. Imagine the book that “The Pointy Haired Boss” from Dilbert goes to every time he has a problem. He looks up the same situation that every other pointy haired boss looks up and responds exactly the same. As one of the first people in Australia to be impressed by the Raspberry Pi, I was disappointed when it was delayed. As a member (DJUQA) of theBackShed forum I have made several observations of the project. The product itself is brilliant, it is the project planning and distribution that is the problem. It is obvious that the project problems are proving to be bigger than any of the initial group imagined. I was totally taken, great joke! You briefly mentioned QFNs and flux. I think lots of flux is a must for fine-pitch QFNs. I use the hot air pencil for the thermal pad. Then I drag the iron around the sides of the part, loading it up with solder. Adding a good amount of flux at that point makes the solder bead up, making it easy to get rid of the shorts.